Findings could have implications for active surveillance criteria for African Americans. PSA production may be lower in African-American than Caucasian men with low-risk prostate cancer (PCa), a new study suggests. If confirmed, the finding could impact active surveillance criteria for black patients. Oleksandr N. Kryvenko, MD, of the University of Miami Miller School of Medicine, and colleagues measured tumor volume in radical prostatectomy specimens from 66 African American and 348 Caucasian men, all with Gleason Score 3+3 disease. The investigators then compared patients’ PSA, PSA density (PSAD), PSA mass (an absolute amount of PSA in circulation, not influenced by body mass index [BMI]), and clinical and pathologic parameters. The men had similar ages, BMI, and serum PSA levels, according to results published in The Journal of Urology. The dominant tumor nodule and total tumor volumes were also similar between racial groups (average 0.712 vs. 0.665 cm3). 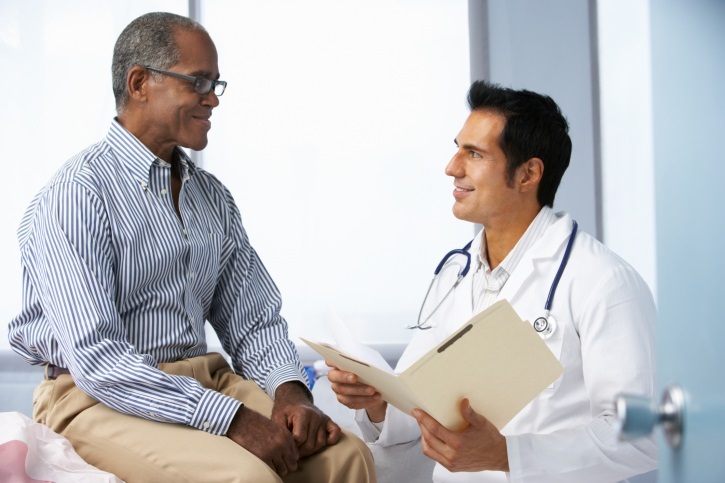 Despite having heavier prostate glands by nearly 10 g on average, however, African-American patients exhibited the same PSA mass as Caucasian patients with the same tumor volumes. Put another way, PSAD was significantly lower in African Americans (average 0.09 vs. 0.105). To determine whether the benign tissue or the cancer was producing less PSA, the investigators examined a subset of men of both races with insignificant cancer volume. The results held, suggesting that it was the benign prostate tissue that was contributing less PSA rather than the tumor. The finding could be a reason why active surveillance criteria are not as accurate in African-American patients, the researchers suggested. Using a lower PSA threshold when considering black men for active surveillance inclusion may mitigate the problem. In a discussion of study limitations, the investigators acknowledged that they cannot completely rule out that cancerous tissue was producing less PSA. They also noted that the study was not randomized, so confounders possibly exist. Kryvenko, ON, et al. The Journal of Urology; doi: 10.1016/j.juro.2015.08.089.